Winter Thyme is a curved garter stitch shawl with a simple rippled lacy edge that drapes beautifully around the shoulders. It was on show and admired greatly at Yarndale and I have been looking forward to releasing it as a pattern since. It is the sixth pattern from my Winter Blooms book. 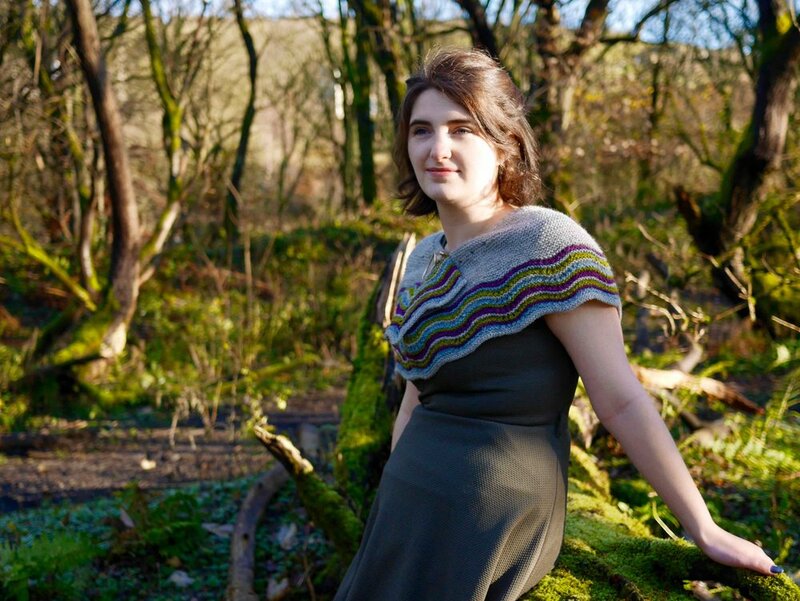 I created Winter Thyme to satisfy my love of knitting shawls, but I find traditional triangle shawls difficult to wear, so I designed Winter Thyme to have an asymetrical crescent shape that drapes easily around the shoulders and can be worn as a shawl, wrap or scarf. 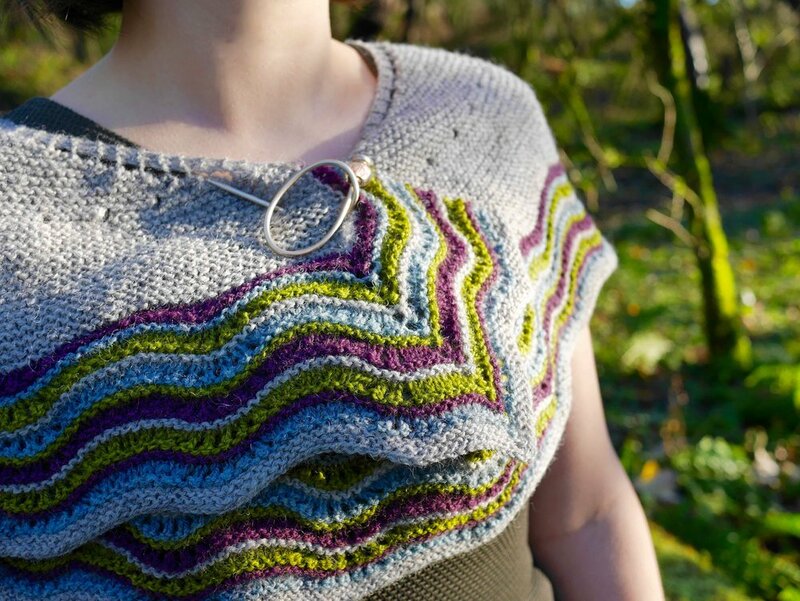 It has a simple repeating ripple lace pattern and uses four colours of TJFrog's Shorelines & Strata 4ply yarn. I first met Tania of TJFrog at the British Wool Show in Thirsk last summer and fell in love with her beautiful yarn. I loved the natural grey against the three specially dyed mini-skein pack and just knew I had to knit this into a striped shawl for Winter Blooms. Winter Thyme is quickly knitted up in an easy garter stitch pattern with short row shaping to create the crescent shape. The lace pattern is based on a very simple traditional feather and fan pattern, suitable for adventurous beginners. Winter Thyme can be purchased here and the Winter Blooms ebook can be purchased here and the print copy (includes the ebook) can be preordered here.